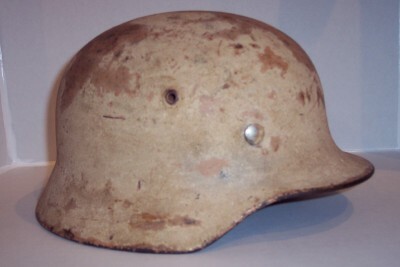 German M42 Luft single decal helmet with three color spray camo pattern over decal. 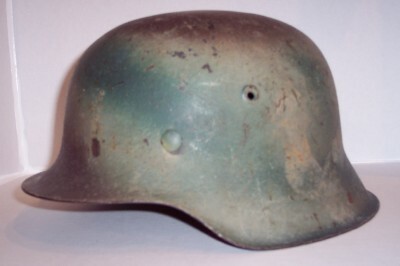 Right side of M42 luft spray camo helmet. 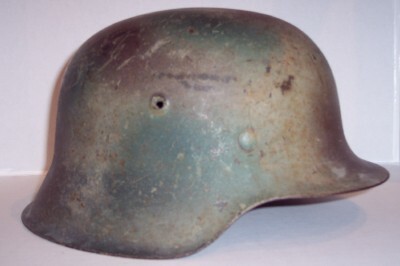 German M42 Normandy three color spray camo helmet. 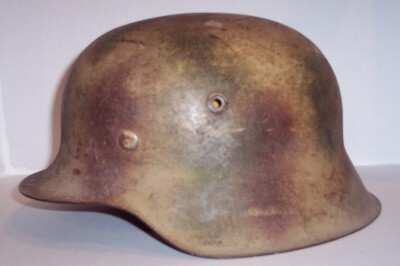 Three color Normandy camo right side. 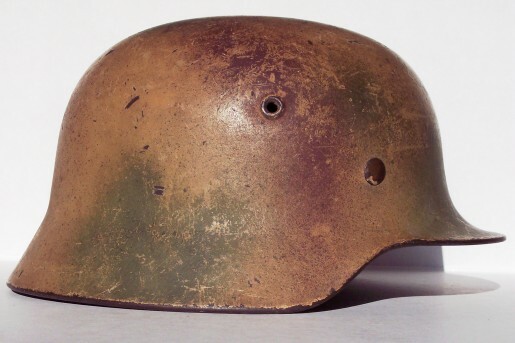 German M35 double decal Army Africa sand and paint mix tropical camo pattern. Decals have been painted over. 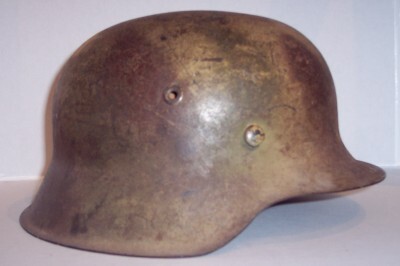 Army M40 three color camo.